21,000 gallon bi-level tanks from Rain for Rent have a standard “V” shaped floor for ease of draining all stored liquids completely through a 4″ butterfly valve with Buna seals standard. This tank also has a standard vacuum pressure relief valve. Store liquids with confidence with Rain for Rent’s 21,000 gallon bi-level tank. 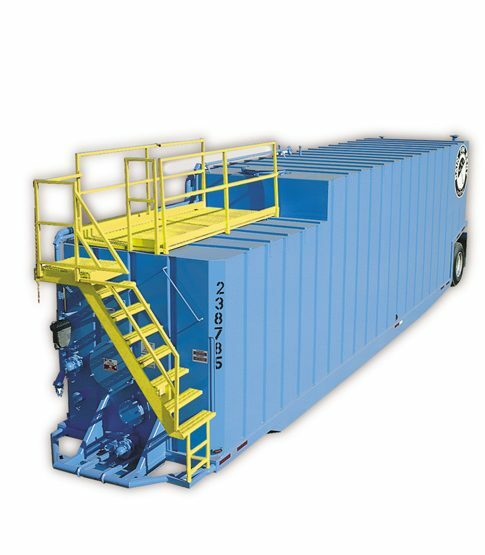 Permanently attached axles for maximum maneuverability allow this 21,000 gallon tank to be moved with ease on the jobsite and a safety staircase ensures proper protection for workers on site.